Japanese retailer BEAMS and American denim giant Levi’s team up for “The Inside Out Collection.” The seasonal capsule sees classic Levi’s pieces, including 501 denim jeans, a western shirt and a trucker jacket, flipped inside-out. BEAMS’ redesigns leave no stone unturned, inverting the iconic Levi’s red tab and even reversing the text on the tan leather patches. The collection also features reversed “guarantee” stamps normally found inside the garment. Each piece is finished with exposed stitching to emphasize the reconstructed nature of the garments. The exposed construction is perhaps most noticeable on the 501 jeans, with the classic cut sporting its trademark selvedge and stamped branding on the outside of the leg where they normally would be on the inside. 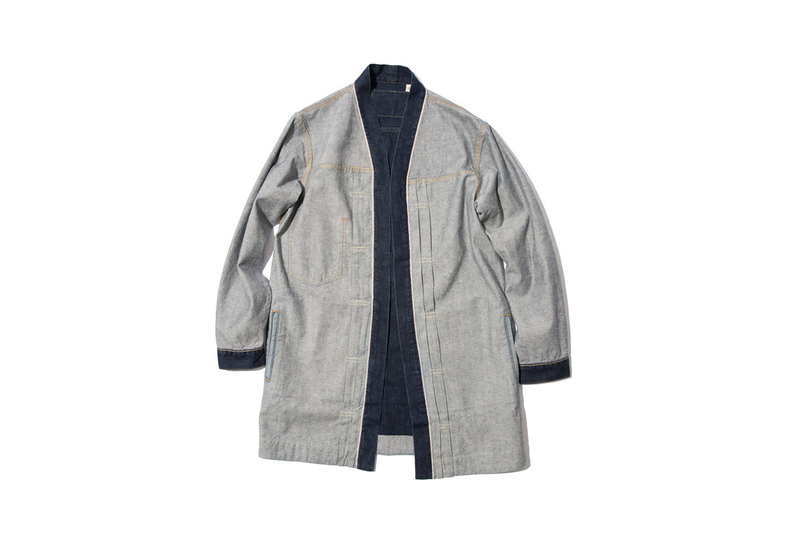 Other notable pieces from the capsule include an inside-out denim kimono, a nod to BEAMS’ Japanese heritage and a T-shirt printed with reversed co-branding and replete with external seams. The entire Levi’s “Inside-Out Collection” is priced between ¥4,800 JPY (approximately $44 USD) and ¥33,000 JPY (approx. $295 USD) before tax and is available from BEAMS’ site and Japanese outposts on April 26. For more standout denim, check out the seasonal offering from the Come Tees “WEATHER DIARIES” collection.